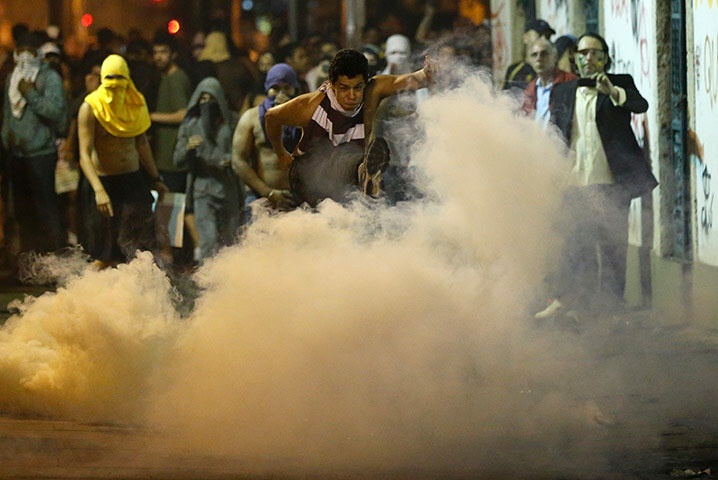 Brazil exploded into the biggest protests for over 20 years yesterday, as concerns over growing inequality and corruption spilled out into the streets. There’s a map here pinpointing where the protests took place. Unusually for political leaders, Brazilian President Dilma Rousseff even praised the protests yesterday, calling them “legitimate” and saying that peaceful demonstrations are “part of democracy”. She also said it was “befitting of youth to protest,” having been a leftist guerrilla when younger. But politicians were the key target for protesters, who complained about the absurd salaries lawmakers awarded themselves, while passing laws to enrich themselves. The marches, organised mostly through social media, blocked streets and halted traffic in more than a half-dozen cities, including Sao Paulo, Rio de Janeiro, Belo Horizonte and Brasilia. 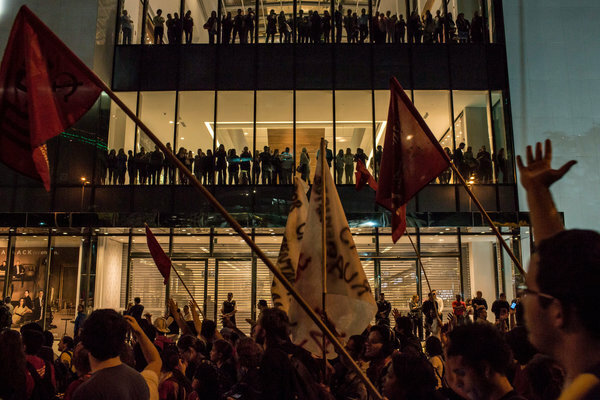 In the capital city demonstrators climbed onto the roof of Brazil’s Congress building and then stormed it. This video explains some of the anger. More protests are being organised for coming days. 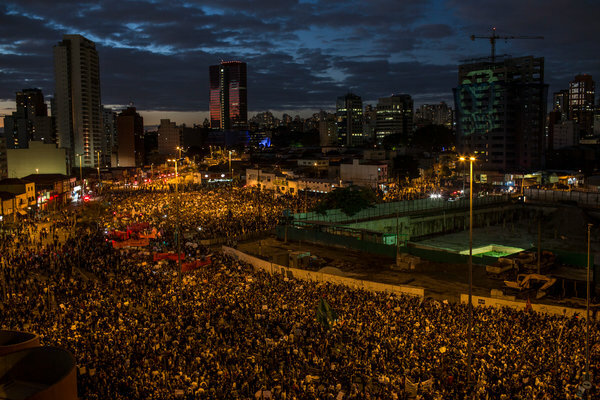 The growing protests were the largest since Brazil’s military dictatorship ended in 1985. “Today’s protests are the result of years and years of depending on chaotic and expensive transportation,” said Érica de Oliveira, 22, a student told the New York Times. "#TURKEY IS WITH YOU BRAZIL! 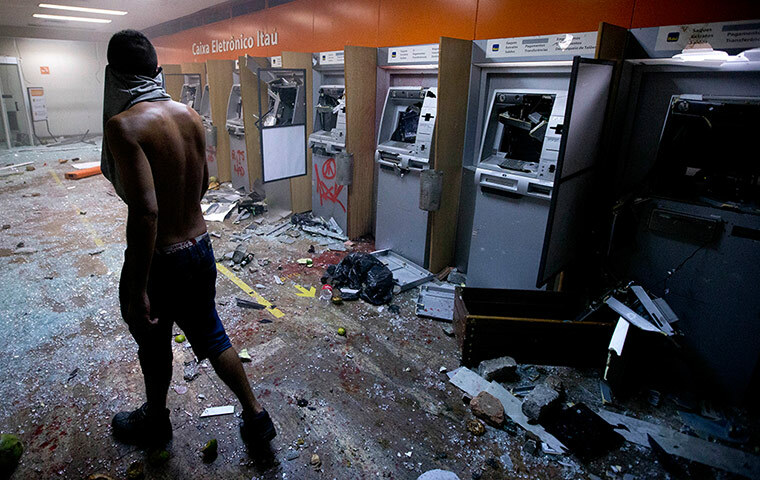 #ChangeBrazil pic.twitter.com/6uf3gUw8rw "
All I say is: someone should not try to estimulate rebelion in other people’s land. I live in Brazil and I must tell you that most of those who are protesting are the voters of the parties which have lost last elections in 2010, trying to distabilize the government by doing that. They’re unhappy because our ‘liberal media’ tells them every day they should uprise and react, but indeed, all social and economic indicators have been improving since 2002, with the aval of the UN and other multilateral organizations. Those who are trying to create chaos and rioting in my country are our real enemies and do not understand what really is going on: middle-class people do not want low classes to go forward, or lose any privilege.